Description: For the past 25 years, the space telescope "Hubble" has been orbiting 540 kilometers above Earth. Black holes, iridescent gas mist, distant planets: Hubble has changed our view of the cosmos by capturing some incredible photos of our galaxy. Without the Hubble telescope, we would not know such beautiful images of space, and have discovered many different perspectives of Earth too. Feeling inspired by the journey into space, SolarOneMusic has been working hard to create their own Hubble Telescope Series, which captures the feeling of space exploration through different experimental dance-floor tracks. As a homage to the Hubble Telescope and all the great scientists and engineers at the NASA and ESA and each part of the series comes with a cover print picture taken by the Hubble Telescope. The series consists of 3 releases featuring E.R.P., Heinrich Mueller, Rudolph Klorzeiger, The Exaltics, Robert Heise, Crotaphytus and Luxus Varta. Featured for the first part of the series, is the talented artist Emeric Di Paolo aka Luxus Varta. Emeric starts playing drums in different punk-rock bands before being interested in electronic music. 2005 he meets Paris The Black FU and the twisted universe of Detroit Grand Pubahs. Looking for a drummer, Paris offers him to collaborate on several tracks for the two upcoming albums. What follows is an artistic complicity which results in live performances, videos and studio recordings. Paris The Black Fu has a feature on this release too. Emeric Di Paolo starts playing drums in different punk-rock bands before being interested in electronic music. This new way of expression becomes quickly the main one, leading him to set up his own studio and to play live from 2000. Five years later, he meets Paris The Black FU and the twisted universe of Detroit Grand Pubahs. Looking for a drummer, Paris offers him to collaborate on several tracks for the two upcoming albums. What follows is an artistic complicity which results in live performances, videos and studio recordings. In 2009 he joins Techmarine Bottom Feeders, a side project of Paris The Black FU. One more opportunity for the two partners to combine their dark vision of techno and to go further in experimentation. After all these years of electronic adventures, it's now time to realize his own electro project, in order to finally bring his unreleased material to light. 2014 is the starting point for a more personal work, with an underground signature, distorted sounds and deep melodies : This is Luxus Varta. Emeric Di Paoloa (Detelefunk) aka Luxus Varta lands on SolarOneMusic to inaugurate the first chapter of the label's brand new "Hubble Telescope" series with a monster of a release! Coming from the punk-rock scene, Emeric evolves in the shadows of Paris The Black FU (from Detroit Grand Pubahs) since 2005. 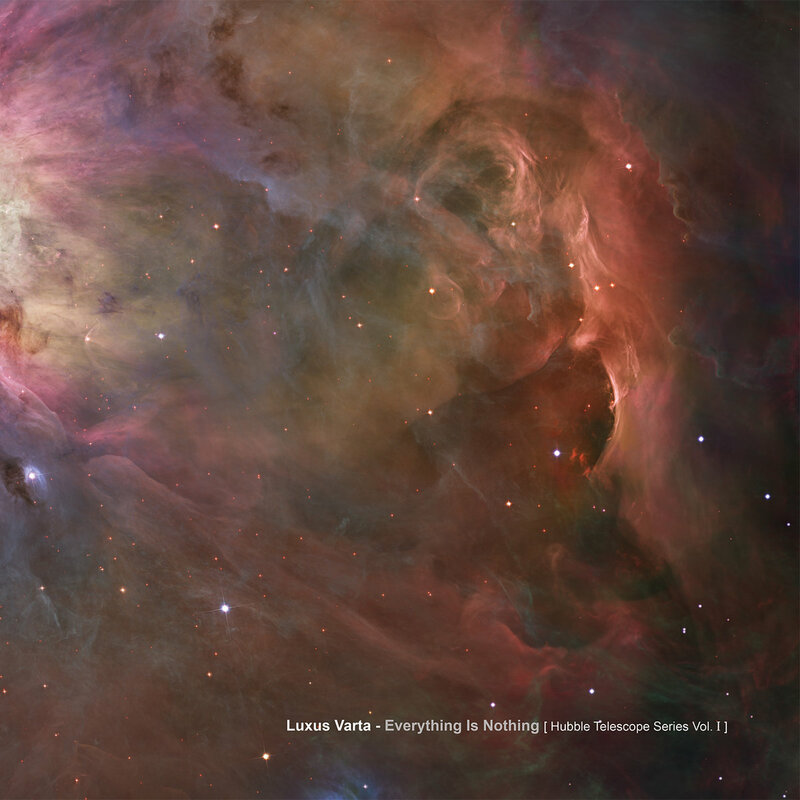 "Everything Is Nothing" celebrates Luxus first ever E.P. and covers pretty much every corner of the Electro spectrum, starting with the heavy bass sororities of top notch "Kuft", an unforgettable journey into the depths of space. Dark and dirty modern Techno a la Drexciya with a bunch of Electro aesthetics characterize this piece of anthology constructed around an incredible rhythm made of harsh beats over nasty drums. Tone is given! Soulful "Ieloh", instantly following, leads us into a warm planet thanks to groovy melodies, urban and 80's touches. One of my favorites! Scifi "Floo" featuring Paris The Black FU contrasts with...Read more!